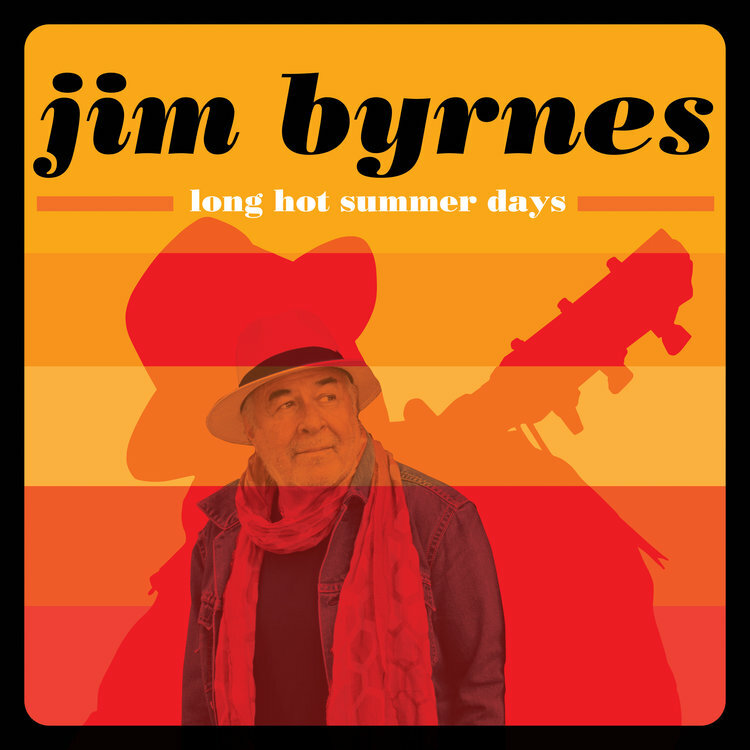 St Louis born Jim Byrnes is a true thespian, blessed with a soothing baritone and the dramatic skills that would allow him to sing the phone book to high praise. 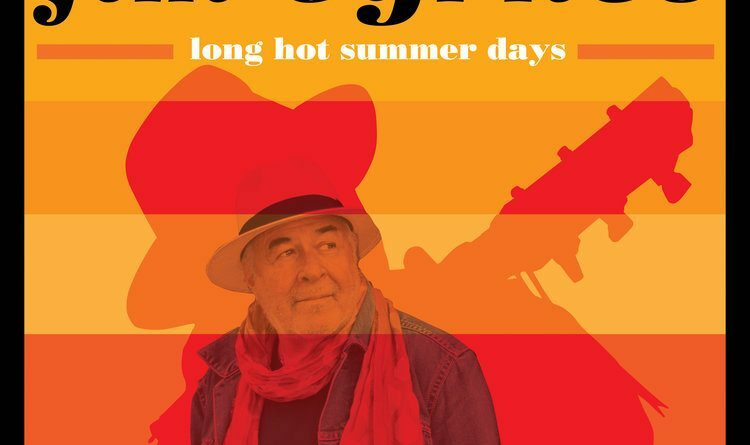 For his latest album, Long Hot Summer Days, released November of 2017 he has once again teamed up with acclaimed guitarists and producer Steve Dawson on a collection of 12 outstanding tracks of blues, roots and soul. Byrnes and Dawson are real stylists who reinvent familiar tunes, breathing life into old chestnuts with new arrangements and great performances from the ensemble they gathered together at The Warehouse Studio in Vancouver B.C. Byrnes throws himself into the emotional center of each track and is bolstered by the fabulous back up gospel trio The Sojourners, who are to him what the Jordanaires were to Elvis. Dawson’s gritty slide guitar cracks open the door on the opening gospel infused track “Step By Step,” written by the late Jesse Winchester. The heavily covered classic from The Band, “The Shape I’m In,” is ratcheted down 40 bpm with the rhythm section of drummer Geoff Hicks and Jeremy Holmes on bass delivering a deep blues shuffle that helps emphasize the melancholy. The stirring choral intro to Bobby “Blue” Bland’s “Ain’t No Love In The Heart Of The City,’ signals the theatrical new reading of the soul standard. Byrnes shows he can stick to the script for an authentic version of “There is Something On Your Mind,’ a swinging horn driven blues that was a hit for Bobby Marchan in 1960. Byrnes then plays the role of fire and brimstone preacher delivering his sermon “Everybody Knows,” with the words penned by Leonard Cohen ringing so true in these troubled days. The first of three original tunes is the blue-eyed soul “Deep Blue Sea,” is followed by the mysterious recording of Willie Dixon’s ‘Weak Brain, Narrow Mind.” Some greasy B3 organ and moaning Bari Sax highlight the cover of “Ninety-Nine and Half (Won’t do,)’ and Byrnes trades barbs with harmonica master Steve Marriner from Monkeyjunk on the aching Elmore James slow blues “Something Inside Of Me.” Dawson leads by picking on a national steel for the country blues “Anywhere The Wind Blows,” Jim and the Sojourners take us to church for “Out Of Left Field,” a staple from the Percy Sledge catalog. The seductive title track closes the set with a romantic recollection of simpler times, love and better days long since passed. Check out the album below via Spotify and purchase it HERE.